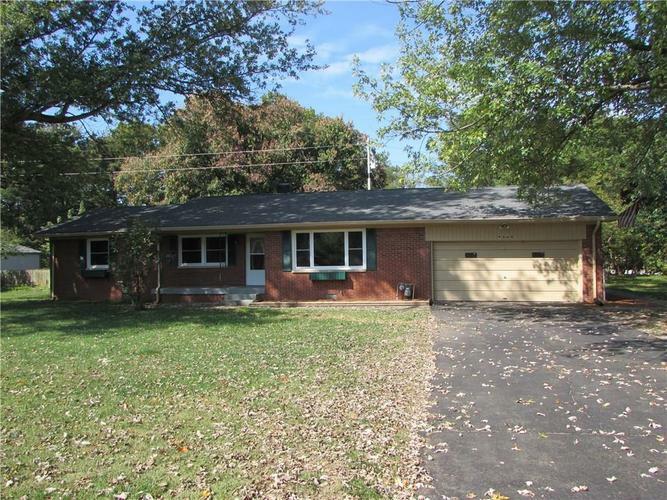 Beautifully remodeled 1 level, low maintenance brick home! Brand new roof and windows! Updated kitchen with lots of cabinets and pantry, Lovely hardwood floors in large living room, master bedroom and hall. 2 car attached garage with separate room for workshop or whatever. Mostly fenced back yard with patio and ornamental pond with possible waterfall. Extra parking area on side of driveway. Easy access to 144 & 37! Directions:SR 144 WEST OF 37 TO OLD 37, SOUTH TO 9360 ON THE RIGHT.